CleanMetrics now offers an integrated carbon footprint solution for the clothing and accessories industry. 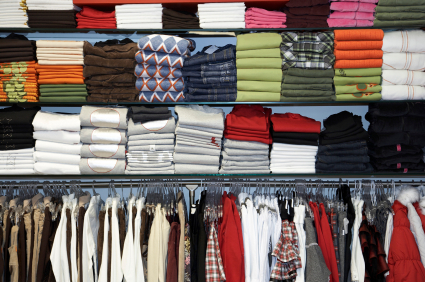 Using our standards-based life-cycle inventory database and our life-cycle assessment software tools, we can provide reliable and high-quality life-cycle carbon footprint assessments for all clothing and accessory products, materials and configurations. Why Carbon Footprints for Clothing and Accessories? Next to food and beverages, clothing and accessories are the consumer products that are purchased most frequently and replaced most often. At the same time, clothing items can be long-lasting and the use phase -- consisting of washing and drying -- is an important part of the product life cycle. The high turn-over, large production volumes and energy-intensive use phases make this an important product category in terms of resource consumption and greenhouse gas emissions. Are synthetic materials better or worse than natural fibers on a life cycle basis? Are there any significant environmental impacts from "eco-friendly" fibers such as bamboo and hemp? What are the environmental costs and benefits of organic, conventional and GMO cotton? How much difference can recycled fibers make? These are just some of the many questions that we can help answer with our analysis, often resulting in recommendations for minimizing resource use and emissions. A life-cycle carbon footprint analysis of clothing and accessory products is a crucial analytical tool that can help advance the cause of sustainable production and consumption. What are Carbon Footprints for Clothing and Accessories? The carbon footprint of a clothing or accessory product is the total amount of carbon dioxide (CO2) and other greenhouse gases emitted over the life cycle of that product, expressed as kilograms of CO2 equivalents. This includes all greenhouse gases generated in the manufacture of the raw materials, fabrication of the product, transport of materials and finished products, packaging, the use phase including numerous washing and drying cycles, and end-of-life disposal. At CleanMetrics, we have worked on a broad range of commercial projects using life-cycle methods and focused on carbon footprints. Our work has included analyses of synthetic and natural fibers, garment production processes, and resource uses in both production and consumption. We have also analyzed and compared the impacts of conventional, organic and eco-friendly fibers in clothing products. Our mission is to help your business address the challenge of sustainable production and consumption with the best collection of tools, data and expertise. Full range of virgin and recycled materials used in clothing and accessories -- including conventional and organic cotton, polyester and other synthetic fibers, bamboo rayon, hemp, wool, leather, plastics, and metals. Identify hot spots in the production, delivery and use of your products, and make your products more carbon efficient on a life-cycle basis.